Use GRK Fasteners T-15 2 in. GRK Star Bits (2 per Pack) with GRK screws (sold separately). Featuring a Red finish, the star bits come in a (2 per Pack) so that you have a spare on hand. 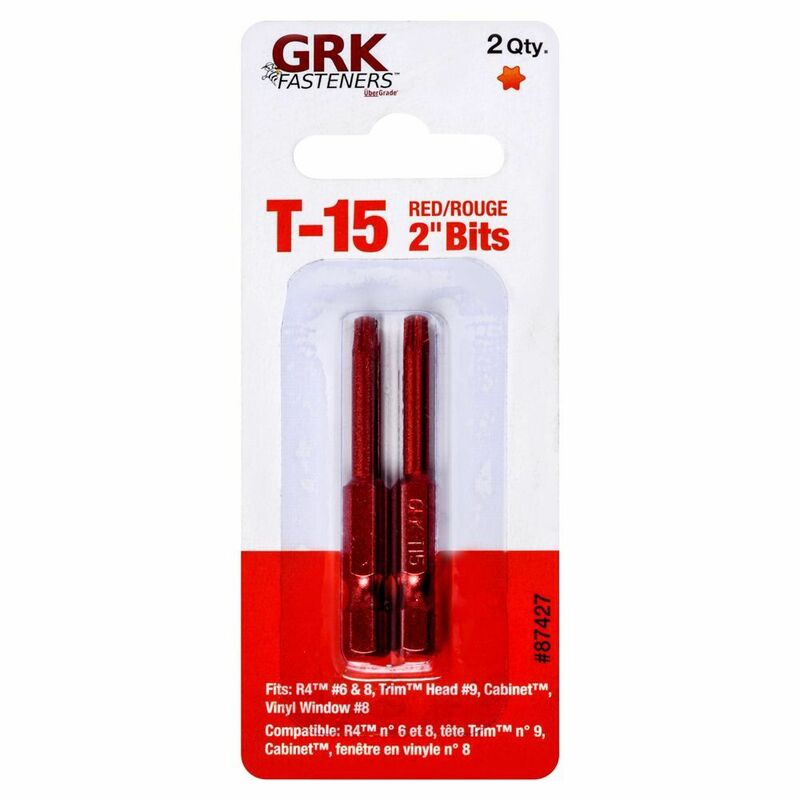 T-15 2-inch Carded GRK Bit in Red - 2pcs Use GRK Fasteners T-15 2 in. GRK Star Bits (2 per Pack) with GRK screws (sold separately). Featuring a Red finish, the star bits come in a (2 per Pack) so that you have a spare on hand. T-15 2-inch Carded GRK Bit in Red - 2pcs is rated 5.0 out of 5 by 1. Rated 5 out of 5 by RobW from Well made driver bit Nice long tip on these bits. Tough enough to use in my impact driver. Long tip great for tight spots and deep countersunk holes.